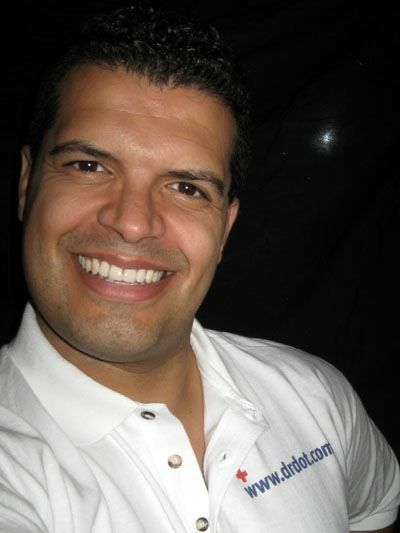 My name is Dr. Denny and I have been a licensed chiropractic physician since 1998 in Las Vegas. My background is sports medicine and functional rehabilitation. I work as the team physician for Las Vegas Mobsters PDL soccer team and Las Vegas Legends indoor soccer team. I have also worked as a ringside physician for the ISKA covering amateur mixed martial arts and USA Boxing for the last 6 years. I am certified in CPR and Advanced Cardiac Life Support. My focus is to restore functional movement to the body utilizing spinal manipulation and soft tissue therapy. 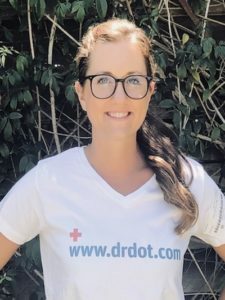 I am certified in Active Release Technique and Graston to assist in soft tissue treatment. I implement focused rehabilitation exercises to restore functional capacity. My name is Dr. Bridget. I do Physical therapy and Acupuncture. I have been a PT for over 20 years and An Acupuncturist for 10 years . I specialize in alleviating chronic pain and balancing energy, as well as general conditioning of the body, mind, and spirit. I also teach Kundalini Yoga in my spare time. 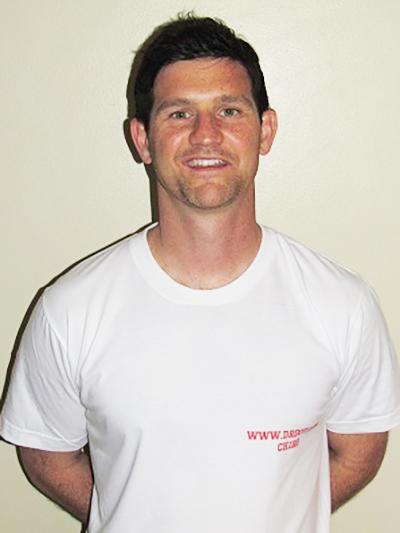 Dr. Abel is a Certified Strength and Conditioning Specialist with the National Strength and Conditioning Association. He is also a Certified Provider of Active Release Technique. Dr. Abel attended Logan College of Chiropractic in St. Louis Missouri where he completed his Doctor of Chiropractic degree. He has worked with athletes from the Missouri Baptist University, NAIA championship, women’s track and field team and has been the team chiropractor for Mary Washington University Athletics. 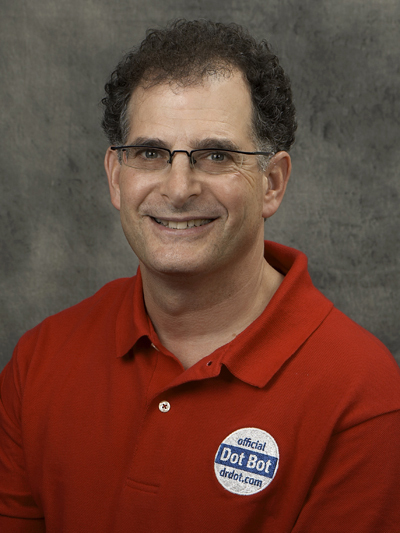 Dr. Abel is an Army veteran and has run both cross-country and track and field at Shippensburg University. Now I have been in practice for over 23 years. The time has gone by fast because I love what I do. I have had the pleasure of helping thousands of people get out of pain so they can enjoy life again. People still seek chiropractic care for pain relief. The real benefit of chiropractic care is that it optimizes your bodies function so that you can BE healthy. Regular wellness chiropractic care can keep you out of pain and keep you performing at your maximum potential. My name is Dr. Harris. 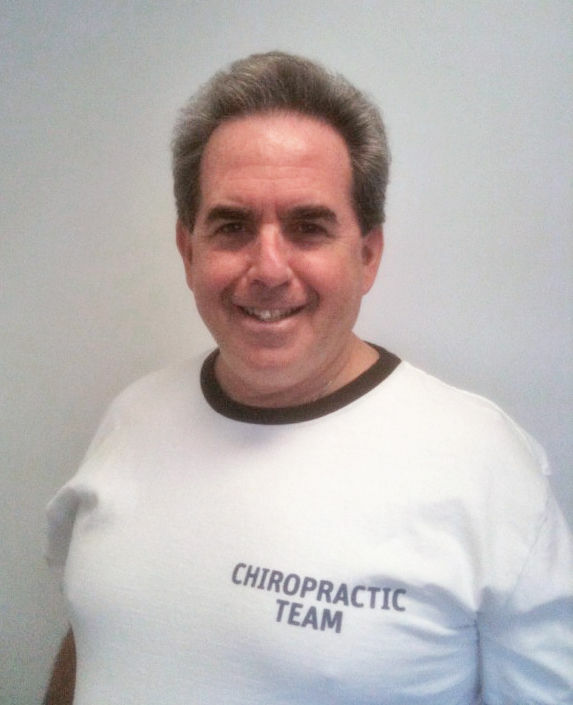 I am a licensed chiropractor for over 28 years. My skills are excellent and your body will love you for it! 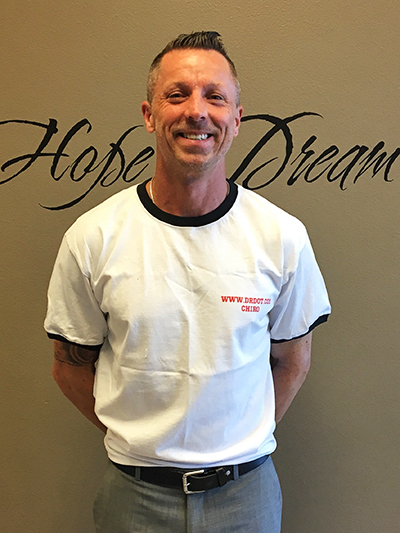 I have adjusted thousands of people, by hand, and helped them to be pain free by correcting spinal misalignments that interfere with the proper functioning of the nervous system. This allows for improved range of motion, restored function and wellness. I specialize in gentle chiropractic care, as well as diversified full spine techniques for the whole body. I address the spine, as well as, the extremities to ensure that all joints are working properly. I also do relaxing soft tissue work which allows your body to be stress free and to function more fully. My magic hands will work out your aches and pains, tune you up and help you feel brand new and amazing! Get ready to experience the most phenomenal you! Hi, I'm Dr. Ron. 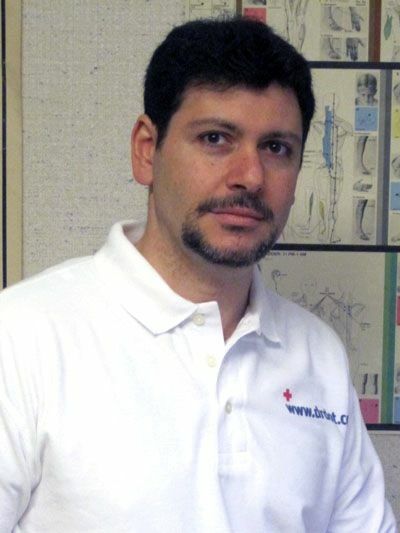 I am a Board Certified Chiropractor in the state of New York. I am a second generation Chiropractor, my father was a pioneer in the Activator Method low-force instrument adjusting technique in which I hold an advanced proficiency certification. I received my Bachelors of Science degree at the University of Scranton and went on to graduate from the prestigious New York Chiropractic College in 1996. 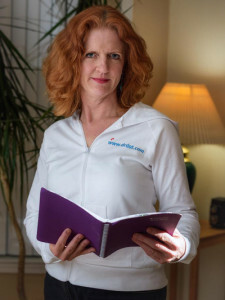 In my 15 years of practice, I have helped hundreds of patients achieve relief from pain, including: neck and back pain, TMJ, sinus problems, headaches, and similar ailments. 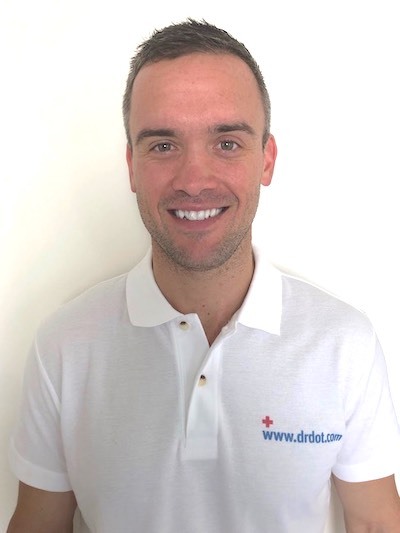 I have also helped patients with extremity pain, such as: shoulder, wrist and hand problems, hip, foot, and knee complaints, even after they failed to see results from more conventional methods. I continually attend professional seminars to ensure I am able to offer my patients the most cutting edge and effective treatments. I also offer Auricular Therapy for the treatment of addictions. I use a specially designed instrument to stimulate specific reflex points on the ear using a micro-electric current. I have helped a growing number of patients finally beat their drug, nicotine and alcohol addictions. Patients feel relief from cravings after just one twenty minute session and are empowered to quit after just a few sessions. 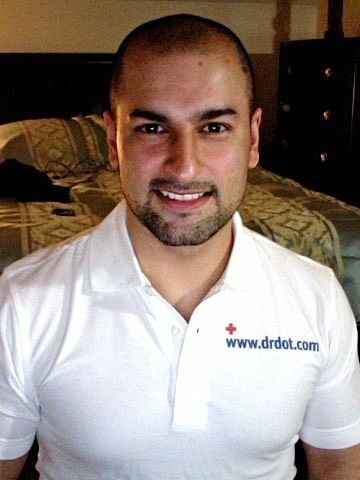 As an avid music lover, I am excited to join Dr. Dot's team! Having played music professionally for many years, I can appreciate not only the level of skill and endurance that job demands, but also the types of stress-related injuries that can result. Whether you are dealing with injuries, pain, or even addiction, or just want to physically perform at your best, I can help you feel better and achieve optimal function.